The only predictable thing about Canadian cosmic-metal warriors VOIVOD is that they will forever be unpredictable. On the warpath for more than 35 years, VOIVOD have pushed their sound relentlessly forward, constructing imaginative musical realms with each endeavor. They literally changed the face of thrash metal in the ‘80s, forged new prog-metal ground in the ‘90s, and kept up with changing times and lineups in the 2000s with fresh, inspired music and they’re back with a new album The Wake, which keeps pushing the limits! Appearing in 2002, even before the rebirth of thrash metal scene worldwide, VIOLATOR was formed with the purpose of rescuing the spontaneity and anger that seemed forgotten in the metal scene. Coming from the center Brazil, Brasilia, VIOLATOR is one of the most intense South American bands and after years of waiting, they will finally thrash BA! Doing so they will be joined by masked Swedish crossover deviants DR. LIVING DEAD and legendary veterans of Boston HC scene SLAPSHOT!ENSIFERUM are true greats of folk-inspired melodic death metal and with their latest output Two Paths they once more affirm their place in the pantheons of the genre, so it was about a time they returned to BA! 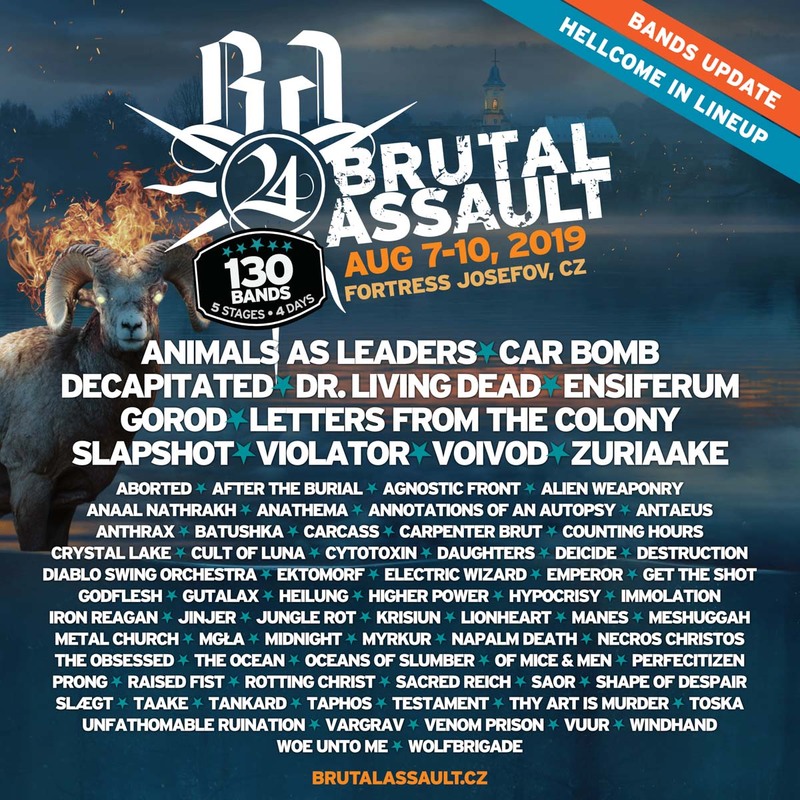 Polish death machine DECAPITATED is back with a bang! Their new album Anticult highlights just how vital have remained two decades deep into their career. They have long been undeniable masters of their craft and they are expanding their parameters with this album, which should elevate the band’s profile beyond the death metal realm in which it has dominated for years. And now they’re coming for the BA crowd! And speaking of technical death metal, of all the amazing technical death metal bands out there, very few can write memorable catchy songs with extreme technicality like French killers GOROD. Get ready for intelligent, deftly crafted flights of musicianship…that will rip your head off! Sometimes, a band’s music registers just as seismically on an emotional wavelength as it does on a sonic spectrum. And one of those unique bands are ANIMALS AS LEADERS, who reimagine, reinterpret, and refresh instrumental prog, experimental metal, modern jazz, alternative, and even world music to a point where the reaction becomes primal. Consistently delivering a captivating show, their show will surely be one of the musicianship highlights of the festival. New York’s CAR BOMB detonate a vicious blast of wildly technical and progressive modern metal. The Long Island quartet’s attack is relentless and suffocating: vicious jazz-inspired blasts shift into mechanistic, canyon-wide grooves. Schizophrenic, whisper-to-a-scream vocals seem to spiral out of control, only to snap back lock-step into the churning assault. Make sure to witness their BA debut! Progressive Swedes LETTERS FROM THE COLONY had proven that they could marry various elements of death metal, metalcore and jazz into a complex hybrid and produce something strangely familiar yet truly original. And this list finished with Chinese atmospheric black metal ZURIAAKE. Monster Energy Houston Open Air Music Lineup Announced!